Are you a local Dallas fan since the days of the Doomsday Defense? Or maybe you're a more modern fan of America's Team, but live outside of Texas? 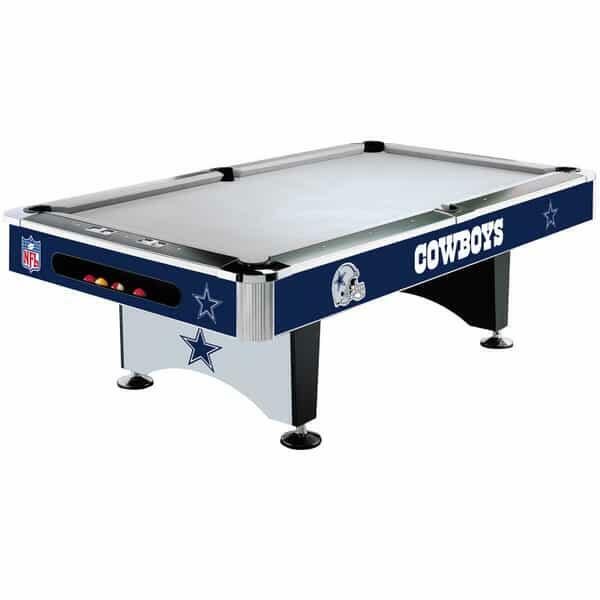 Irrespective of your age and location, the Dallas Cowboys Pool Table from Imperial Billiards and Family Leisure is the billiard table for your game room. It ships nationwide for free from Family Leisure, which offers the largest pool table installation network in the United States. Now you can watch the Boys every Sunday (and the occasional Monday night) hammer the opposition while you and your buddies play a few rounds of billiards on this NFL-sanctioned pool table. Offering the famous star logo and the team colors, this billiard table will create the perfect center of attention in your home's man cave.